This is a super local favorite. 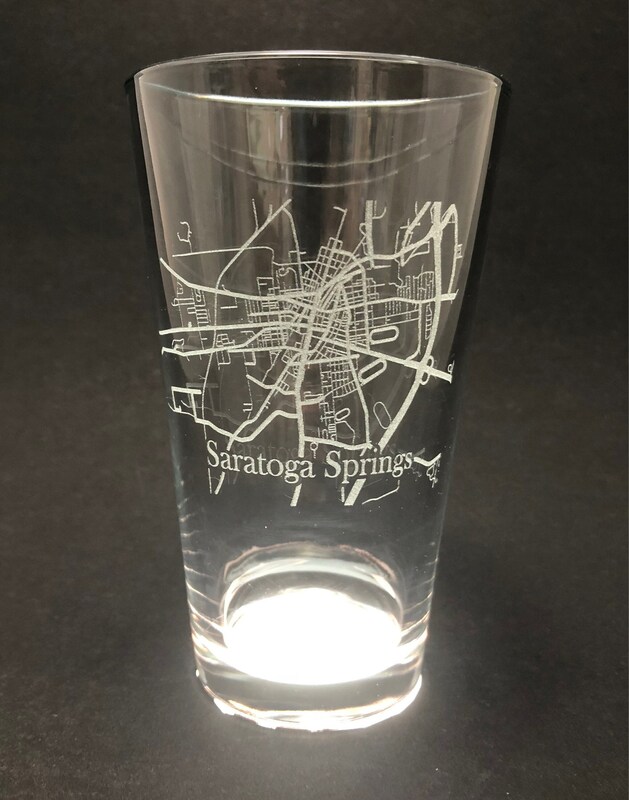 A street map of Saratoga Springs, NY is laser etched into our sturdy pint glasses. Whether you live there now or have lived there, our small town is a place to remember. 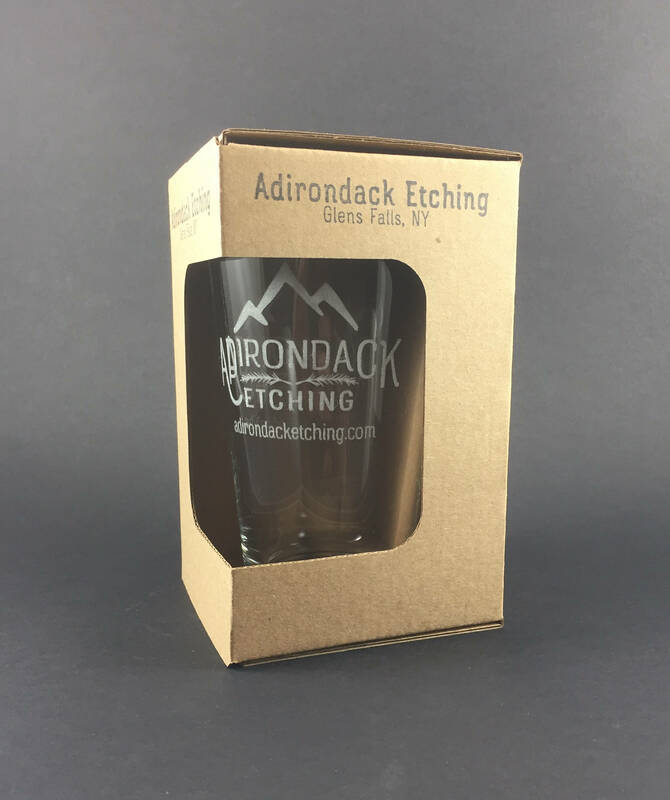 Comes ready in a gift box. 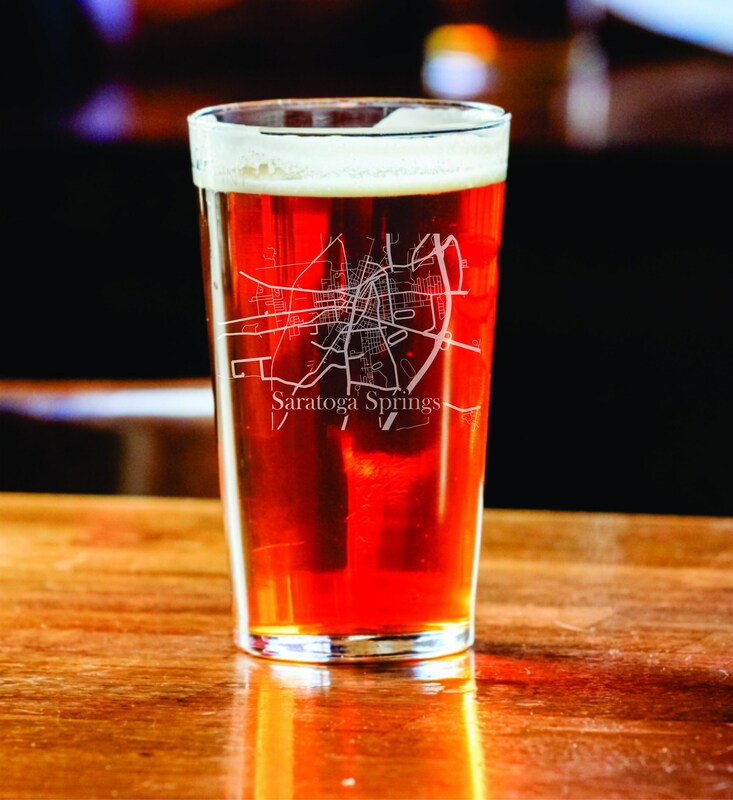 * These are very durable glasses made and in the U.S.A.
* The glass is heavy (especially at the base) and reduces the risk of accidentally tipping over.